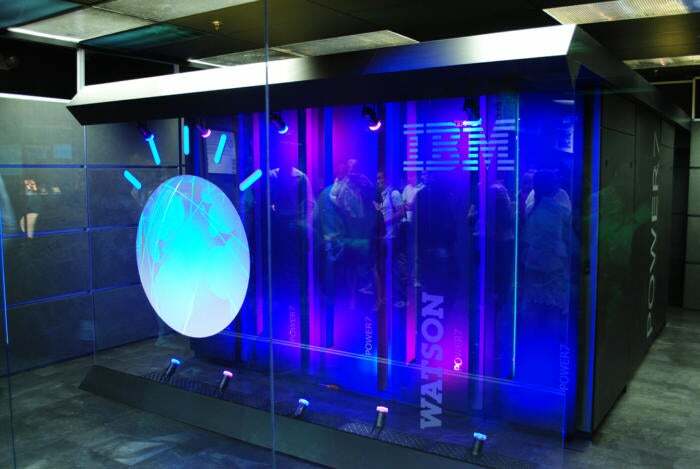 Watson, the IBM supercomputer that uses artificial intelligence (AI) to analyze natural language and perform data analytics, has been used to identify medical data sources, generate hypotheses, recommend patient treatments to physicians or match patients to clinical trials. The Veterans Administration has also used Watson for genomics as part of its precision oncology program, which primarily looks for possible new treatments for stage 4 cancer patients who have exhausted other options. 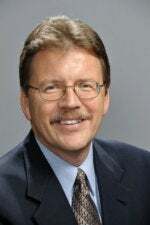 "It has become apparent to us that the right answer for healthcare, like so many other industries, is a hybrid cloud because some institutions want their data on [premise] and yet they want to be able to hook to other data sets, public clouds and do big time AI and analytics on the public side," said John Kelly, who took over the IBM Watson Health division last week. John Kelly, head of IBM Watson Health. "Now, we have two separate and distinct things," Kelly said. "We have a lot of the data that we acquired that sits in on [premise] servers, storage and data centers. And then we have a separate public cloud where a lot of our clients put their data, do analytics. Up until now those two things have not talked to each other." The buyout of Red Hat will become integral to the IBM's hybrid cloud strategy, Kelly said, as many of its clients' private clouds run on Red Hat Linux, as do public clouds, like that offered by IBM. Red Hat brings with it software connect those the two and enable data to be passed back and forth, Kelly said. "We became convinced that this hybrid model, where you can move data seamlessly back and forth, where you can move analytics and AI seamlessly back and forth, is the right answer. And our clients are telling us that's the right answer," Kelly said. Offering a hybrid cloud to healthcare and insurance provider customers of Watson Health will also reduce te need for IBM onsite services, since Watson's AI engine will be exposed through different user interfaces, Kelly said. Cynthia Burghard, a research director for IDC Health Insights, said "in theory" the more flexibility organizations have as to where they house their workloads, the better it is for them. 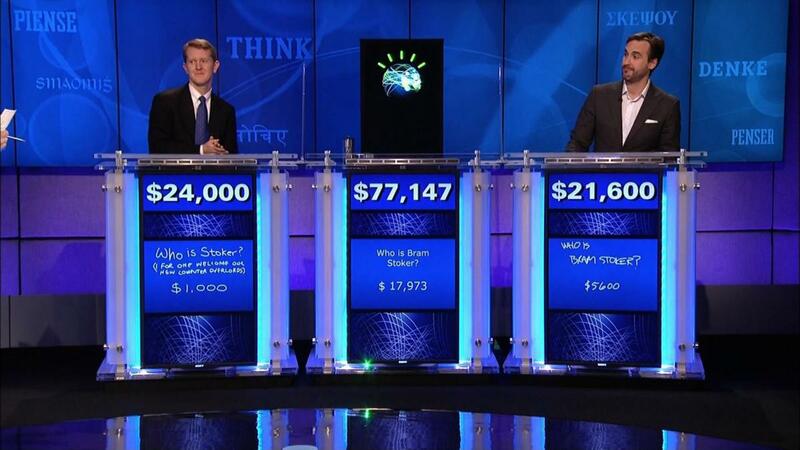 An IBM spokesman said IBM's Watson Health service has 11,000 clinical measures that are part of it analytics suite. Some are on-premse and others are on IBM's cloud, depending on the client's preference and the market segment (such as payers, government agencies, hospital systems, for instance). Traditionally, however, most of those services did begin on premise, he said. After launching Watson Health in 2015, IBM purchased healthcare data analytics-firm Explorys and patient communications company Phytel for an undisclosed amount. In 2016, IBM then acquired Truvan Health Analytics for $2.6 billion. Upon completing all three acquisitions, IBM boasted its Watson Health Cloud housed "one of the world's largest and most diverse collections of health-related data," representing approximately 300 million patient data sets acquired from the three companies. Kelly took over what news outlets reported as a troubled Watson Health division from Deborah DiSanzo, who after three years as head of the division moved to IBM Cognitive Solutions' strategy team. (In August, Kelly disputed reports that Watson Health was in trouble after it was claimed the service recommend flawed advice and aren't based on real patient data). Laura Craft, vce president of healthcare strategy at Gartner, said IBM's shift to a hybrid cloud strategy is a smart move. "I love the choice between what data stays local, what doesn’t. Overall, cloud is smart, we recommend it and I see many analytics vendors moving their capabilities to the cloud for the agility it provides," Craft said via email. "Bottomline, [this] seems totally logical. And I think the hybrid model will be well received, particularly by healthcare systems that have been reluctant to put everything in the cloud." "And, we can provide rock-solid security in the IBM cloud," Kelly said. "Some of these data now sits in servers and not quick closets but small data centers all over the place. And, lastly, it reduces our cost when we're on the cloud – much more economical for us."